I keep seeing more and more cloud hosting and online storage companies and services popping up and becoming more popular. 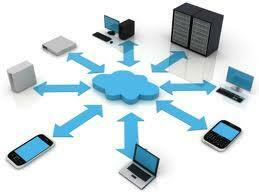 I have seen a big push towards online cloud storage. Many offering 2-5 GB's of storage from free to fairly cheap. How or why some companies will provide the storage for free I do not know. So some people will say free is a very good price I'll check it out. I personally stray from storing any more than I really need to anywhere online. Maybe I am just paranoid. Every time I turn around some site or service has customer information stolen. Just hearing about these things makes me a little uneasy about storing things online that really don't need to be. Then, there are these companies and services that offer online computer backups. They want you to store your computer files online. Thanks, but no thanks. Even if they are password protected and encrypted it would still make me nervous. I don't know what the big push for all this online cloud storage is all about. We have been storing our files on our local computers for years. And, our computers usually have more storage space than what we need anyway. Maybe it's about being able to access your files online from another location if you are away from your computer. But, so many people have notebook, laptops, flash drives, or other large portable storage I still don't see the point. Maybe it's about sharing files online with others. Are you really convinced and willing to put that much faith in a company's ability to adequately protect your storage account with personal and important files? If so you have much more trust and faith than I do. I guess it works for some people because it is obviously popular. Technically things like gmail could be considered cloud storage and most people probably use some form of it. I guess it's just the services that specifically encourage storing your important files in the cloud that freak me out the most.